Customizable Application that allows sorting of Syllable Cards for Speech Therapy Sessions. CBT Educational Development Overview: Simon & Schuster CD-ROM: LionSky Media designed and developed a series of Speech therapy Cross-Platform CD-ROMs for Simon & Schuster Publishing. The subject matter was from a world-recognized Vanderbilt University Professor that had a proven Flash Card therapy system. We designed the systems methodology and functionality into a CD-ROM that could be used by speech therapy specialists to identify, teach and track the progress of their students with a consistent and proven method. This was the only way to make sure the system was being used in a proper and consistent manner. The therapy specialist can add word by phonics, letter blends, letter type and subject types. Using voiceover talent allowed the speech baseline to remain consistent across the country and eliminate inconsistencies in the therapist’s speech patterns that are often overlooked. Student tracking and report generation is available and students can also use the CD-ROM in the home allowing the student to practice in a comfortable and convenient environment. 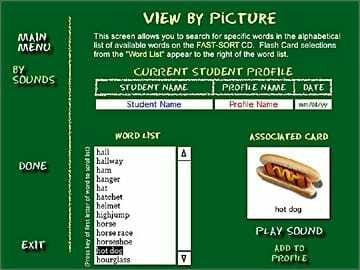 This program is used in speech therapy offices for training and tracking progress of speech for stroke victims or slow speech development. 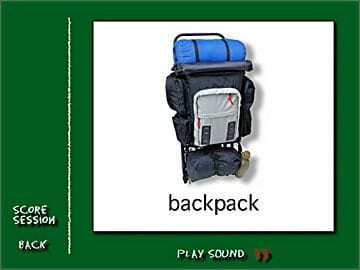 The second CD in the CD-ROM series included extensive groupings of “like” words and images. The combination of the visual object representation, the text graphic of the word and the audio correct pronunciation has made this program extremely effective and has won much acclaim in the speech therapy field. The CD-ROMs are cross-platform and have the ability to run on older versions of Windows Operating systems as well as older Macintosh based systems due to the age of the computers in the training and education system. LionSky has experience in SCORM compliant Computer Based Training (CBT) systems with Learning Management Systems (LSM) integrated for maximum software life-cycles. Visual and Audio Triggers to express focused sounds.